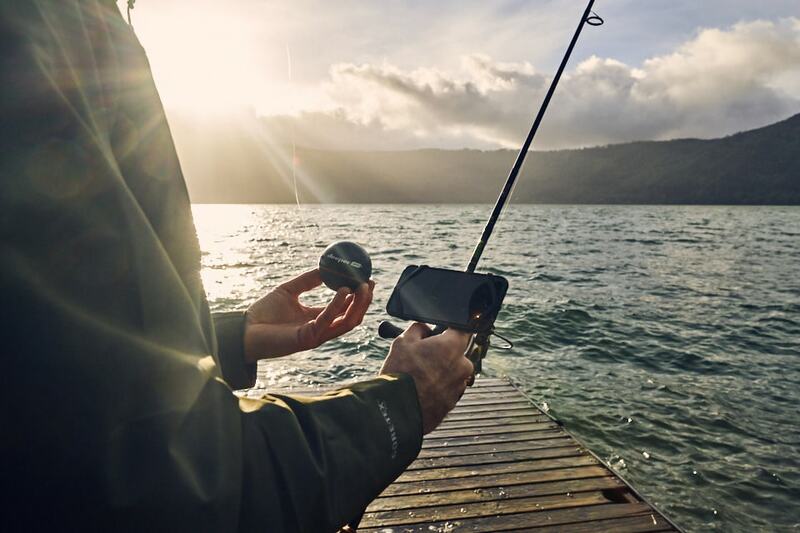 As the first ever castable sonar for shore anglers, Deeper has created lots of discussion about what’s fair in fishing and what role technology should play. And this discussion is great. It shows how much passion we all have for this sport. We care that it is done right. At Deeper, we want to get more people fishing more often, and in new ways. But one comment we often hear is that using a Deeper is cheating. Usually these kinds of comments are met with many arguing it isn’t, and on the debate goes. 1. Fishing is about personal choice. Not every angler is the same. Who decides what’s cheating or not? And who decides which skills an angler should have, and which are most important? The answer is, no one does. We all love fishing for our own unique reasons, and we all have different priorities. So, if using a sonar to find promising spots isn’t what you’re interested in doing – or even using one for locating the fish in the cold winter months – no problem. But don’t forget, in the end fishing is just catching fish with the gear you have and can use. As long as techniques are not damaging to the fish population or spoiling someone else’s fishing, then each to their own. It’s clear that new gear and technology is always on its way. And probably the first angler who used a split bamboo composite rod was accused of cheating by those who still used European hard woods. Did their use of bamboo take the skill out of casting? Or the first artificial spoons in the 19th century. Were these cheating? With every new development there will be a discussion about how acceptable that new equipment is. Does it take away some of the challenge from fishing? Is it giving an unfair advantage to some anglers? Regarding skills, it’s clear that the skills just change, they don’t disappear. That’s absolutely the case with sonars. A sonar isn’t a camera. You need skills to read and interpret the data. You can go from basic displays to complex scanning and mapping functions which give a wealth of data. In many cases it actually increases the amount you have to think about and learn. Understanding the readings, adjusting the settings and display for different conditions, knowing how sonars work and how this affects the data you are shown: these are all new skills anglers can learn when using a sonar. Every species is different – some are bigger, some are smaller, some easier to catch, some more difficult. Every location is different – some are deeper, some are shallower, some are full of fish, some aren’t. Every angler has a different budget – some can afford all the latest gear, some only the bare essentials. Every angler has different amounts of time – some work 6 days a week and only get the odd hour after work, some have 4 or 5 days a week just for fishing. But when you start talking about fairness and cheating, these points are important. The only way you can get fairness is if everyone is fishing the same species, at the same location, at the same time, with the same equipment. In other words, a tournament or match, and even then anglers use different gear. And outside of competitive angling, there really is no way to make sure the playing field is level, so why are we even discussing cheating? 4. Shore anglers are getting treated differently – why the double standard? In many fishing types, like boat, kayak and ice fishing, using sonars is completely accepted – they are a normal part of an anglers arsenal. So why the double standard when it comes to shore fishing? If I’m out sea fishing, or using a kayak, technology is ok. But as soon as I’m back on the bank I have to switch to a bamboo stick and a piece of twine. Maybe we feel shore fishing is more traditional. But again, it’s up to each individual angler to decide. If some shore anglers like the old ways, great. But don’t stop other anglers accessing technology that helps them, and adds a new dimension to their fishing. 5. You can buy maps for areas that have been charted, so what’s wrong with mapping areas that haven’t. One of the most common arguments that a castable sonar is cheating is that it shows you where the fish are. In fact, many anglers use sonars not to find fish, but instead to map waters and find good spots to target. Some lakes and waters have been charted – and any sensible angler would use that information to help them find the best spot. But no one would dream of accusing an angler with a map in his hand of cheating – it’s just using the information that’s available. But once you’re on a small lake or pond, using smart technology to map out the depth and understand where the best spots are, suddenly it isn’t fair? Or takes the skill out angling? Not at all – this is just the same as finding a chart for that area and using it. In fact, you’re researching and building your knowledge base and using that to improve your results – that’s smart fishing. Do you want fishing with a future, or a sport stuck in the past? Let’s face it, times are changing. And we in the angling community can resist it or embrace it. And what about younger generations. We can complain that they are only interested in their computers and phones, and don’t go outdoors anymore. Or we can make the most of the technology they love so much to get them into fishing. If we want to get more kids taking up fishing, why not use technologies like smartphones that they can relate to? In the end, fishing is about catching fish in the way that gives you the most satisfaction. If that means an old school approach, great. If it means using new technologies, what’s the problem? As long as we respect each other and the fish, let’s fish the way that suits us best. Next Post Search for the new IGFA World Record Goonch Catfish! !